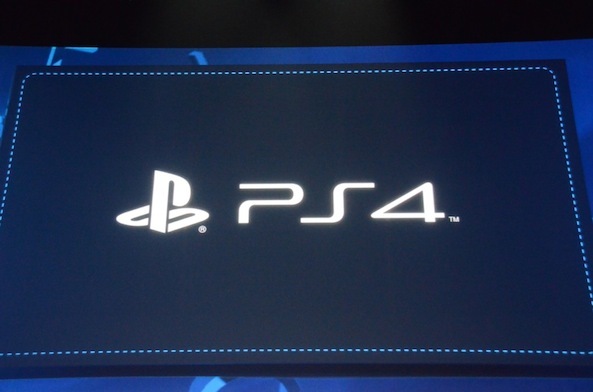 So tonight Sony revealed its upcoming gaming console the PlayStation4. Well I should say they talked about it and revealed a controller, but more about that later. Let’s talk nitty gritty facts about what they could tell us about the machine. According to Sony the PS4 is based on a “supercharged PC architecture,” with an 8-core X86 processor, enhanced PC GPU, and 8GB of unified high-speed memory. Sony says its capable of providing almost 2 teraflops of computational performance. Next Sony revealed the controller for the new console, which does look similar to the one leaked a few weeks ago. 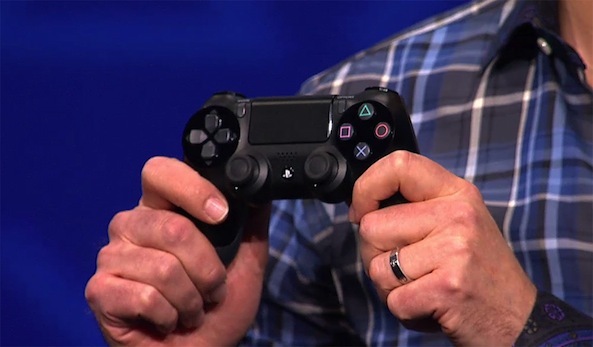 The system uses Sony’s new DualShock 4 controller with a touchpad, share button, lightbar and headphone jack. The lightbar pairs with a camera system on the PS4 that allows the console to track the depth (distance away) of the player. The new DualShock 4 controller connects to an included light bar, which can identify players and their movements via a 3D camera. And the system can download games and other content in the background too, even with the power off. So no more annoying game-stopping system updates. Likewise, this also means that downloadable titles can be played as you’re downloading them. Social is a huge aspect of the PS4. You can upload videos of your gameplay, while playing, watch other games being played, and even invite a friend to remotely play on your system. This may be a turn on or turn off for some players – more on this later. Gaikai technology lets you see what games your friends are playing, share screenshots and videos in-game, and take over their controller. It also allows owners of the PS Vita to remotely play the PS4 from their handheld devices. I have questions about this that I will mention later on. Sony also showed some gameplay trailers for upcoming releases. It doesn’t seem like a lot of them are really live action gameplay but we shall see. None of them really impressed me as I am not into car games, or first person shooters. Watchdog does look good but once again it really isn’t my type of game. Square Enix was on hand to announce that there would be a Final Fantasy game for the PS4 but that it wouldn’t be revealed until E3 this year. The other big announcement for you Blizzard fans was when Chris Metzen took the stage and announced Diablo III for the console. At the event Sony did NOT reveal the actual system, they have left this to be done at E3 coming up this year June 11-13. This was a bit of a let down however it’s not surprising that Sony wanted to get a jump on Microsoft in announcing a new console. The price was also left out of the event, which does worry me personally but I’m sure at E3 all will be seen. The console is slated to be released “Holiday 2013” according to Sony so take that for whatever it means. To me it means you probably won’t be able to get your hand on a console easily and without possible robbery till about a year from now. After seeing the live stream and talking about the system with friends I really can’t say what I think about it. I have a lot of questions that need to be answered first. The social media connection that they want us to use, can we opt out of it? I prefer my PlayStation handle already and don’t really want my personal information floating out there for all gamers to see. I really hope they offer an opt out option for this or a way to continue to use your handle you already have. My other issue is with the Vita capabilities. I don’t have one for various reasons however it seems that to get the most out of the PS4 having a Vita will help. There are many issues I have with the Vita and I can’t see purchasing a console and then having to purchase a handheld to get the full experience. Not to mention the Vita having no hard drive so the extra cost of a memory card (that isn’t cheap) and the lack of good titles for the system itself. As they continue to upgrade the Playstation Store this might change but some of the PSP games I have aren’t on the Store yet so I can’t access them on the Vita. The other question I have is, will my previous purchases be able for download or will I have to buy them all over again? One last question is, do I have to be on the same network to play my PS4 games on my Vita. They kept using the term “stream” so that makes me think I still have to be on the same network to access it. To me this doesn’t make me want a Vita anytime soon or see the benefit of pairing with a PS4. I do like the controller and I’m impressed with the additions they made without changing the overall feel of it. That is one thing I always love about PlayStation no matter how much I have put it down and come back to it picking up the controls is so easy and it feels as though I never left the system. I was pleased that it didn’t become a bulky piece of plastic with buttons that didn’t seem to feel right. The look and feel appears to be the same wonderful one we are used to just with a few more options. My last note is that each PlayStation system was always released with an extra addon that you didn’t have already on the previous system. For example the PS3 was a blu-ray player and it also played your previous PlayStation titles. This, to me, was an added incentive to purchase the new product. Not only could I keep playing my old/current games but I also got a great upgrade out of it for other things. The other issue is this system at this moment is only backwards compatible via the cloud so as I mentioned above do I need to re-purchase my games? These are questions that need to be clarified. At this moment I don’t plan on buying this console, and I don’t mean that in a bad way. I’m just a cautious consumer who has a tight budget and who wants more of the details before I jump in feet first. What about you guys? Are you ready to pre-order the system or is the jury still out for you?